Figure 1. Projectile points from the Indian Creek V Site. We probably all have an “arrowhead” or two kicking around in a drawer or shoebox tucked somewhere into the back of a closet. I remember finding points similar to the ones depicted here while picking butterbeans and tomatoes in the family garden when I was a child. 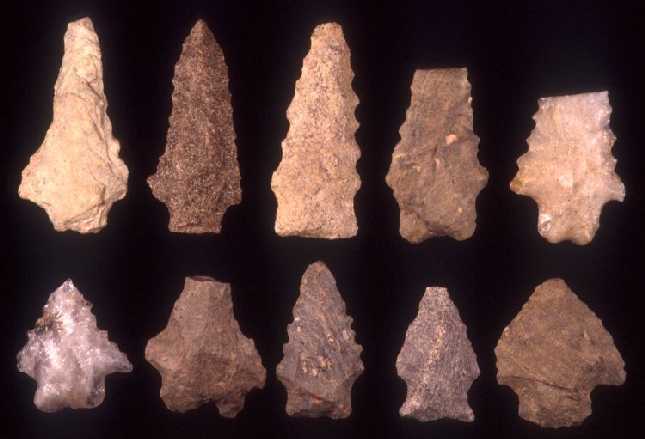 Now that I am a full-blown archaeologist, I have been thoroughly trained to call them “points” rather than “arrowheads” (because some of them were affixed to spears and knives rather than arrows). Another thing that I have learned is that the sharpened edges of points and other cutting tools can be used to help reconstruct the diet and the environment of the peoples that made and used them. While rehousing (assessing and repackaging) a collection of prehistoric artifacts, the Curation staff at the MAC Lab discovered something verrrry interesting. The collection, from a Native American site on Mason Island (located in a chain of islands in the Potomac River), included many clay pottery sherds packaged separately, as if each came from a different vessel. Sharp-eyed State Curators noticed that the pieces fit together, like a large jigsaw puzzle, into what appears to be three unusually large pots. Two of the pots are tempered with crushed quartz and the third is shell tempered. 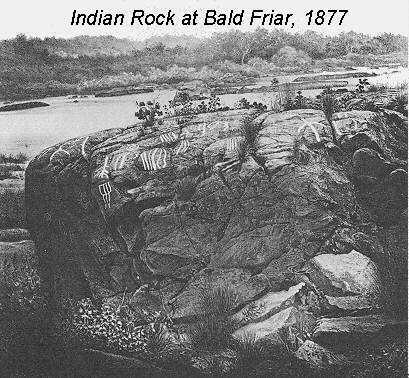 All appear to be from the Late Woodland period (900 A.D. – 1600 A.D.) and are decorated with cord wrapped stick impressions. Several fragments have drilled holes that would have been used for mending or suspension of the vessel. These sherds, from one of the quartz tempered vessels, measure approx. 36”L and 17”H. Reassembled, that’s a big pot! The Maryland Archaeological Conservation Laboratory is offering special themed tours at “3:00 on the 30th” of select months throughout the summer. On the July 30th guided tour you will experience thousands of years of Native American history at our state-of-the-art conservation, curation, and research lab. This tour is free of charge and no reservation is required. Just stop on by at 3:00 on July 30th! *DID YOU KNOW? Tours of the Lab are also available by reservation, for groups large and small, for a small fee. E-mail kconcannon@mdp.state.md.us for more information.